I just want to focus on two stories today: the Federal Reserve’s latest round of money printing and the Middle East. Let’s start with the Fed’s announcement. It will print money and spend it buying $40 billion a month in sour debt. It says it is to keep interest rates low and to spur employment, but it’s much more about a continued bailout of the big banks. That’s what economist John Williams of Shadowstats.com says. Inflation is a lock, and gold and silver prices shot up on the money printing news. Over in the EU, the European Central Bank is doing the same thing, but theirs is “unlimited.” The Germans caved to the pressure, and fresh money is being printed on both sides of the Atlantic. You have to be crazy to be long on the dollar or the euro. On to the Middle East, and what a mess that is. It will not get better anytime soon. Just last week, I was telling you how the Russians were warning the U.S. about using terrorists in Libya, Egypt and Syria to further their goals of regime change. The Russians basically said this type of plan can blow up in your face, and voila–it did. The U.S., Libyan and Egyptian embassies were attacked on 9/11, and one U.S. Senator, Bill Nelson, says it’s the work of al-Qaeda. They hate us. It has been widely reported we used al-Qaeda in Libya and Syria and backed the Muslim Brotherhood in Egypt. Meanwhile, we killed a top al-Qaeda official in Yemen with a drone strike!! What kind of foreign policy is this? Now, there is an open feud between Israel and the U.S. The Prime Minister of Israel, Benjamin Netanyahu, is asking the Obama Administration what’s the holdup for an attack on Iran’s nuclear program. Join Greg Hunter for analysis on these stories and more in the Weekly News Wrap-Up. Love your work, your reporting, and your interviews with John Williams, etc. I would have hoped that by now that you would be able to afford a better background than bumper stickers on school kid’s construction cardboard. Is there a fund that we can contribute to to help you buy some flags, a picture, or something else to replace the bumper sticker background? I started this with my own money. I’d love to get funding to hire people and buy equipment and maybe that will come someday. As time goes on I will get better and slicker but right now I hjust want to get the news out and grow the site as I go. Thank you for your kind words and support!! I would place a bet on you any day, all it takes is the values you have put forth with out pause, you are what makes humanity great, Thanks for your tireless work & commitment to brining the truth as it really is! You are a very good example of how with not much so much may be done with out taking any short cuts! We all owe you a lot! P.S. Great work as always. You are very kind. Thank you for your support!! You made my weekend!!! Just watched your commentary…you are amazing…Great content and well delivered, as usual. THANKS. World is nuts: geopolitics is warped and lost its path. The Fed is pouring money out the window and harming our future. Politicians are trying to pull money from “on budget” to pay for their wrecklessness “off budget”. Some religions won’t grow up–creates untold friction and encourages progressive nations to tip toe around it, an accommodation that only works for so long before someone trips up in a big way. And abusers of our “rights” on this side of the pond who ignorantly interpret “Democracy” and freedom of speech to mean wreckless abandonment of social (and religious) responsibility and consequences while ignoring the potential to incite rage. And it gets worse…Unfortunately, guys like Romney, who should be the solution to ills caused by Obama’s administration, is just the opposite…he’s like a walking cannister of gasoline that is trying to strike a match to alight the funes: already has China upset and he hasn’t even entered the White House yet. These are very frustrating times. Your commentaries are an oasis for the mind. Just want to encourage you to keep doing what you are doing. Thanks. Ken. Greg, buying 45 billion of toxic mortgages monthly the banks hold by the FED to stimulate job growth is the biggest lie ever came out of the FED – and guess what, they are getting away with that bull-crap. The media is reporting it as a possibility of growth, what planet do they live on? At least Romney has came out against it yesterday. As to the “hate America” middle east, its a lousing policy for those people. They want freedom, or so they say, but only if their ideas are allowed to air and nothing more; that is not freedom. Freedom is allowing opposed and sometimes very hurtful expression to live and air. Coddling these people while turning our nose against Israel is the wrong policy. Its time we told the world we believe in freedom and if it means allowing a cartoon of Islam that just the way it is. Thank you Greg, events are moving rapidly towards a failed economy and a war. Thank you for yet another excellent article. Current events prove beyond any question that the political and banking establishment (forgive the redundant reference) has lost its mind. Its malignant stupidity is exceeded only by its completely unjustified arrogance. We are in deep trouble. You won’t see inflation according tot he CPI and their stacked deck. I see that knowledge will be a critical a persons future. Learning how to be self-sufficient will pay bigger dividends as inflation occurs. I see this as one way the average person can use to hedge against inflation because most of us can not afford to buy silver or gold. I feel sad for the family of the ambassador. I have to laugh as those who think they can manipulate the out comes of the Arab Spring to their benefit. There are just too many variables. I see Iran and Pakistan becoming allies against Western and Israeli aggression when the nuke sites are attacked. I believe the attack will be successful but it will draw together an Islamic Alliance including Iraq, Iran, Pakistan and possibility Afghanistan. I think the only thing that keeps this from happening is the Iranian-Indian economic relations. If there is a change by India from US pressure that would change the dynamics of the trading partners and hence change regional political dynamics. Thank you for your continued comments and support. As you probably know, I follow your blog and writings religiously and look forward to hearing your perspective. Your opinions have helped me fine tune my own financial planning for the collapse of the major currencies. I would like to submit a guest blog post and possibly follow up with an interview with your site which I believe offers a complimentary and fresh perspective… not to mention is kinda interesting. I am trying to get my new blog off the ground and obviously could use the exposure, but also I really believe it points out a very serious weakness in the thinking of many stackers… what happens if the governments choose to severely limit liberties or confiscate by law… where does that leave them. In the last week I have done and interview with Sean on the SGT report and since then Sean has already posted two of my articles that have returned many good positive comments to his and my site. 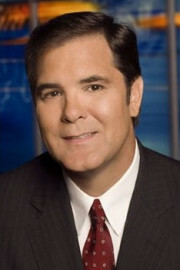 I just received a call from Kerry Lutz: financial survival network for an in depth interview. Greg much like you I do this to assist open minded people. I know we’re trying for the same audience and have little doubt your audience will find what I have to say most interesting. From watching you on youtube I can assure you our personalities will mesh perfectly. I invite you to go onto SGT and search these two articles and check both the contents and the following comments. 2. What does a RFID chip and an unemployment check have in common? I have already tried two times to reach you on Greg’s private messages with no response. Thanks Greg keep up your positive efforts and look forward to hearing back from you soon. So sorry you must be caught in my spam filter by accident. (It is really aggressive.) Please send again and give your credentials. Slate it: Barry/Greg Contact and I’ll unspam you and I will get back with you. Thank you for reaching out. Always a super job Greg! Greg… When will “We The People” put a stop to this madness? The “FED” is stealing the wealth of America right in front of our faces and no one seems to care. Congress is a joke, the office of the president; no matter who is in it, goes along with the bankers, i.e. the “FED” stealing more and more. WOW! The “FED” says it is going to spend $40 billion a month to by debt. That is ($480 billion) almost a half of $1 trillion per year. Let’s see… that is more huge debts to purchase huge debt… how does that help anyone but the BIG BANKERS? After the banks have stolen everything via the debt mechanism, who will they put in charge of America? Will they be a branch manager? Large corporate entities blatantly “loose” billions of dollars and no one is even chastised, while millions of “We The People” loses our retirements and homes. Has America become so poor in values and courage that “We The People” are just going to let our future be stolen without even a whimper of political defiance? I am sorry to say that I believe this to be true. My grandchildren just lost more of their freedom. ‘We have lost more of our freedom in the hear and now. Thank you for your comment and support. Thank you for clarifying what msm omits. When i heard the fed was focused on mbs in qe-inf, I thought thanks Ben, helping your banker buddies again and sticking the taxpayer with more “titanic economy” debt that will be be paid at 100% of fictional value. What a charade. Citizens sold out by big govt again. Administration wins. I have to write in Ron Paul on my ballot because I care about my country and I am sick of the way washington is run from manhattan. if anyone is unsure of who is boss, they can google fed ownership and a list of likely suspects emerge. I will be writing in Ron Paul’s name as well. I hope many others do too. Greg you have built a great site here just love your weekly news wrap..Great job you should be very proud of the job you did building this site.. AWESOME.. Thanks for all you do keeping us all informed.. Thank you Bob for your support and kind words of encouragement.!!! Greg, I don’t see a place I can donate to your website. You are a good man and thank you for your kind words. Maybe I’ll put up a “donate button,” but I really want the site to be free. Thank you for your support!!! Greg. I also would like to give some. Maybe I’ll revisit the “donate button” idea. Please correct me if I an wrong, but If the Fed is taking the ‘toxic derivative debt’, off the hands of the NY banks and issuing ‘new money’ to them in return; then why not call it what is? Sounds like a pure case of MONEY LAUNDERING to me. But, I do not have a Phd from Harvard, so I could be wrong. I sure hope I am. No Phillip, I think you are dead center spot on. Thanks. Bernanke’s $40 billion/month buying of MBS (mortgaged-backed securities) is considered a GOOD idea by THE ECONOMIST magazine. That’s ALOT of weight to the idea. Open-ended MBS buying is actually a NEW idea and should be highly scrutinized by the media, before being thrown out so quickly as MORE OF THE SAME. IT IS NOT. How are we going to get out of this? What happens to real estate prices when the Fed cannot or will not continue to suppress interest rates for home buyers? What about inflation? What happens if there is a dramatic sell off in the $12 trillion in U. S. dollar assets held outside of the country? What about the most recent debt downgrade by Egan Jones? What about all the other major credit rating agencies who have the U.S. on negative credit watch? does the Economist think this will really help because Egan Jones thinks it is a bad idea and gave the U.S. a great big fat downgrade on Friday. Did the Economist tackle any of those questions? If the Economist believes in true capitalism, then they would support bankruptcy. This is what should have happened. No wait, none of this would have happened if we didn’t allow banks to get too big to fail. This is simply a continuation of the banking sector bailout at expense of the people. This is most definitely “MORE OF THE SAME” and it is “unlimited” according to the Fed. What are you going to tell people living on a fixed income when their checks will not even pay the light bill? Please tell up all how this is NOT “MORE OF THE SAME.” Your turn. Bernanke is fighting against Japanese deflation,which nearly all economists feel is worse than inflation.This is the crux of the decision. This is Not more of the same,as it has never been open-ended before without a timeline.Print until “fixed” is the new motto. The people on fixed incomes will suffer because the elites never want to suffer themselves. This is a constant through-out history until the actual guillotine is hauled out again. Bernanke’s decision is also the bain of the republicans,which he secretly enjoys. The feds idea is to devalue the $ through inflation and bring jobs back from overseas with our new lower wage and then boosting exports. It is all a Great Experiment, as the world has never been here before. Hang on to your courage. Many people thouht that Volker’s raising the 1982 interest rates to 20% would be a catastrophe,but it was good for the U.S. and bad for everyone else, especially south america. There are always winners and losers no matter what you do. We tried pure capitalism under Greenspan and it blew up in our faces. Oh, the dilemmas. As long as they’re printing money, they’ll be able to replace all the money they took out of the social security system along with the interest it would have earned, and make proper cost of living increases as well. At long last seniors like myself will have more money then we’ll know what to do with. What a great way to beef up the economy! Ben Bernanke you’re a genius! If you live in a small town you understand the expense,it takes to keep a couple cops and a small fire department funded. If your going to police the world, your going broke. The boys and girls in Congress voted for the useless wars but didn’t fund them. So they must of been planning on the inflation tax. The Fed. is just doing what Congress war plan called for. Whoever takes over the White house, they will stick with the inflation tax as Congress will never blame the unfunded WAR vote. However, this was before the recent announcement of QE3. I personally think QE3 is going to prolong the collapse, maybe even for 2-3 years IMO. What do you think? This all depends on if there is a run on the $12 trillion dollar assets held outside of the U.S. A run on the buck (this includes dumping Treasuries) could make the whole thing blow-up overnight. You should be prepared for the worst as soon as possible, but I do not have a timing prediction. All I can say is a great collapse is coming. Finally it is Christmas in September! At least that (QE3) is what the big bankers wish for. The Fed even hinted for QE4 in the future if further stimulus is needed. I suspect that we will see QEF (Quantitative Easing Forever) soon. As the Fed continues to print more money and keeping zero interest rates, we are following Japan’s footsteps and the whole country is heading towards bankruptcy. As for the Middle East conflicts, I recall that Obama and the majority of U.S. Congress including Secretary of State Hillary Clinton supported Arab Spring. Russia and China have warned the U.S. the danger of playing fire for a long time. Even the Arab Spring rebels gladly take the financial support and military aids from the U.S.; it doesn’t mean they love the U.S. The anti-American sentiment is wide spread in Middle East. Also, the South China Sea conflicts between Japan and China have been intensified in the last few days. There was nothing reported by the MSM, not even a one-liner. There were some coverage from BBC, RT, Huffington Post and Washington Post. Japan has also stirred up conflicts with South Korea and Russia for other disputed islands, though they are not as intense as that with China. Japan has been a trouble maker to its neighboring countries as Japanese nationalists continue to honor and worship the Japanese WWII war criminals as heroes in Yasukuni Shrine. The action angered many countries, including South Korea and Phillippines, both are also U.S. allies. Both Japan and the U.S. may underestimate China’s reaction to the disputed islands. China is currently undergoing a power stuggle between the Reds and the Reformers and none of them wants to show any weakness in foreign policies. Although China has a lot to lose if it goes to war, the current administration may be forced to do so if Japan continues to challenge its authority. The U.S. will be dragged into the China-Japan war. The Asian economic growth will be severely disrupted and the global economic recovery will be slowed down even further. Thank you for the comment and analysis Ambrose.